Let’s help veterans tell their stories. Maybe they worked in the mess halls serving chow, or helped load ordnance onto jets waiting their turn to launch on combat missions, or maybe they had to watch their friends get hit in an ambush or a firefight in a rice paddy in Vietnam. It’s time we hear what they have to say! Airman Ronnie Turner-Winston, U.S. Air Force, is the kind of veteran I have always admired. She enlisted in the Air Force, served her country in time of war, then returned to civilian life where she serves as a role model for everyone she comes into contact with. She had me laughing and smiling as she told me about her Air Force experience, and I think she will have you doing the same. She will also make you feel proud. This is her story. Ronnie was born and raised in Washington, D.C., by a single mother. It’s clear from Ronnie’s description her mother is her hero. Her mom had Ronnie while she was still a teenager, which meant her mother had to leave high school during her junior year. Her mother was determined, though, to be both a good mother and a good provider, so she earned her GED and then took classes at the University of the District of Columbia. Ronnie jokes that she should have been awarded the same degree her mother received because she attended 90% of the classes with her mom since her mom couldn’t afford day care. She remembers the look on the faces of her mom’s professors at the start of every semester when her mom would bring her to class for the first time. The professors would scowl, but Ronnie’s mom promised Ronnie would be quiet during class, which she was. This was the beginning of Ronnie’s lifelong love of education. When Ronnie was in high school, her family moved from Washington, D.C., to Riverdale, Maryland, where she attended Bladensburg High School. When she reached the end of her junior year, she realized she had no plan for the future. Her mother hadn’t applied to colleges while in high school, so she couldn’t advise Ronnie on what she needed to do. Ronnie did take the SAT, but not the next step of applying to colleges for admission. Ronnie needed someone to point her in the right direction—that’s when the military recruiters stepped in. Ronnie took the Armed Services Vocational Aptitude Battery (ASVAB) and scored in the upper 90th percentiles. Recruiters for all four military services reached out to her, but it was the Air Force that caught her eye. The Air Force said they were very selective and that won Ronnie out. She enlisted in the delayed entry program and waited for her active duty report date to arrive. In the meantime, she graduated from high school and took classes at the University of Maryland during the fall semester. After she completed the classes, her recruiter began to pester her to provide him with a copy of her transcripts. At age 17 going on 18, obtaining a copy of her transcripts was not a priority for her, so she never got around to it. A few short months later, she would learn why it should have been a priority. The bus arrived at Lackland AFB around 2:00 a.m. and Ronnie was exhausted. The TI explained on the bus that they would be going to the chow hall to get something to eat. He also said recruits would be expected to drink two glasses of water with every meal to help protect them from the heat in San Antonio. Still not grasping she was no longer a civilian, Ronnie asked the TI if she could skip the chow hall and go directly to her barracks to get some sleep since it had been such a long day. This resulted in the TI recalibrating Ronnie for a second time, and she hadn’t even started in-processing yet. In the end, she drank her water and got checked in, beginning her tour in the Air Force. Ronnie remembers an Asian-American woman in her flight of trainees who had long, beautiful black hair. It was so long, Ronnie estimated it had to weigh at least 5 pounds. The Air Force wouldn’t make her cut it as long as it remained neatly styled on her head. The problem was, it was so heavy, it kept falling off—sometimes during formation—so Ronnie and some of the other women in her flight tried to help style the woman’s hair so it would stay in place. Once Ronnie even broke formation to help the woman put her hair back in place. As you would expect, all of these instances resulted in angry TIs yelling at those involved, but the real result was increased camaraderie in the unit as the flight pulled together to help one of its own. Ronnie hadn’t gotten any commitment before she enlisted regarding what job she would do. When the job specialty discussions began, she gravitated toward becoming a chapel manager. She had grown up in the church so it was a natural fit for her. When she learned she could also have time off during the week because she would work weekends at the chapel, she was all in. So, after graduating from Basic Training, Ronnie headed off for eight weeks of Chapel Management School at Keesler AFB near Biloxi, Mississippi. Ronnie made lasting friendships at Chapel Management School and still maintains contact with her classmates to this day. 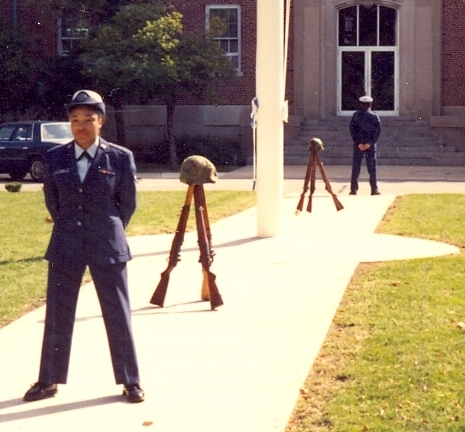 Ronnie graduated from Chapel Management School as an Airman Basic (E-1). Had she provided her University of Maryland transcripts to her recruiter, she might have qualified for a higher paygrade and more money, but it was too late for that now. She reported to her first duty station at the chapel on Wright-Patterson AFB near Dayton, Ohio. Her first choice was Andrews AFB just outside of Washington, D.C., but Wright-Patterson was still a good location because her stepfather’s family lived in Dayton. 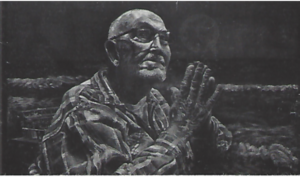 Shortly after Ronnie arrived, a junior chapel manager at Chanute AFB in Rantoul, Illinois, wanted to swap duty stations with Ronnie, which the Air Force allowed. Thinking a few additional miles from Washington, D.C., wouldn’t matter, Ronnie accepted the transfer to Chanute. Ronnie loved her assignment at the Chanute chapel, which was a very close-knit community. She especially enjoyed volunteering for any ceremonial duties like parades or standing special guard duty, but there were much more mundane duties involved, as well. For example, one of the first things she was told to do was to make the weekly deposit at the base bank. Much to everyone’s surprise, Ronnie said she couldn’t do it because she didn’t have a driver’s license. For the next two weeks, Father Raul taught her how to drive using his car, which was stick shift. Once Ronnie learned to drive, Father Raul even helped her get her first car. The next surprise came when she was asked to shovel snow—she had never had to do that in Washington, D.C., where it snowed so infrequently and melted so quickly that shoveling was never an issue. She learned quickly in Illinois, though, that shoveling snow around the chapel was part of her job description. In late 1990, war came to the Middle East when Iraq invaded Kuwait. Having grown up during the relative peace of the Cold War, Ronnie hadn’t expected the United States to be involved in an armed conflict, although the U.S. intervention in Panama in 1989 certainly alerted her to the possibility. Yet, when Desert Storm came, Ronnie was the first person in her chapel to get orders. She deployed in support of Desert Storm for approximately two-and-a-half months. It was an experience she will remember for the rest of her life. After the Gulf War ended, Ronnie returned to the chapel at Chanute, where she continued her duties. When she was nearing the end of her initial four-year enlistment, she was asked to reenlist for another four years so she could be given orders. Ready to settle down, Ronnie decided not to reenlist and instead took the opportunity for an early out. She was discharged in September 1993 after serving over three years on active duty. Once back in the civilian world, Ronnie completed cosmetology school. Although she enjoyed the work, she changed jobs and took a position in Human Resources at Parkland Community College in Champaign, Illinois. Her Parkland job re-opened the doors to her education. She went on to earn her Associate’s Degree from Parkland and her Bachelor’s and Master’s Degrees from Eastern Illinois University, all while raising her family. She loves learning so much, she is currently pursuing her Doctor of Education degree in organizational leadership with Grand Canyon University. Ronnie has gone far beyond studying leadership—she practices it in the community every day. In fact, Ronnie believes everyone must take responsibility for supporting their community. 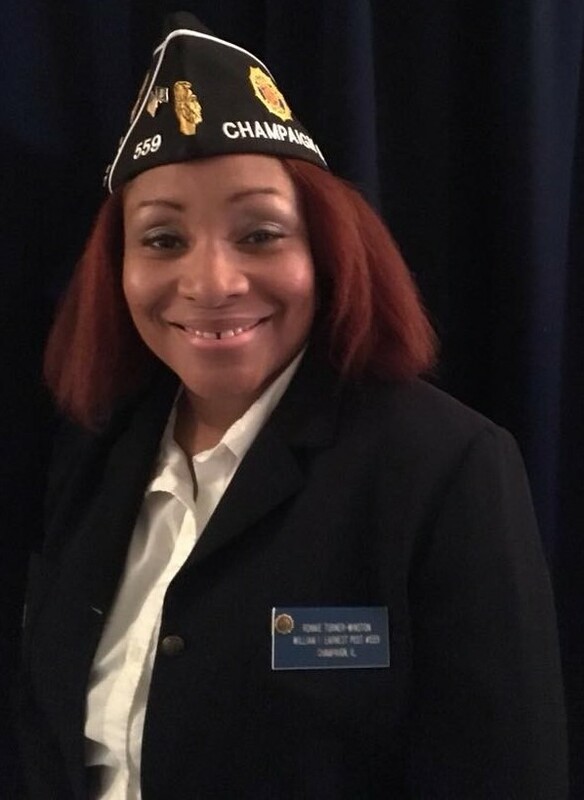 For Ronnie, this means serving as the Adjutant for American Legion Post 559 and as a member of VFW Post 5520, and as the Veterans Affairs Representative for the Champaign County NAACP. She is also seeking to establish a local chapter of the National Association of Black Veterans (NABVETS). On top of all that, Ronnie is committed to her four children and two grandchildren, a commitment she reinforces by serving as an officer in both the Urbana High School and Middle School PTSAs. 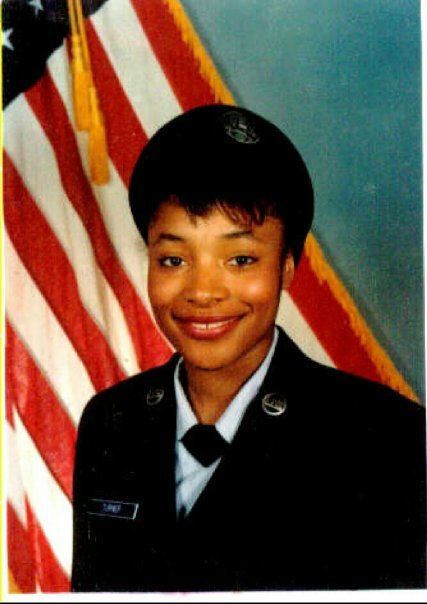 Voices To Veterans salutes Airman Ronnie Turner-Winston for her outstanding service to our nation in the Air Force during the Gulf War and for her continued commitment to public service in the community. She is an outstanding role model, exemplifying duty and honor in everything she does. 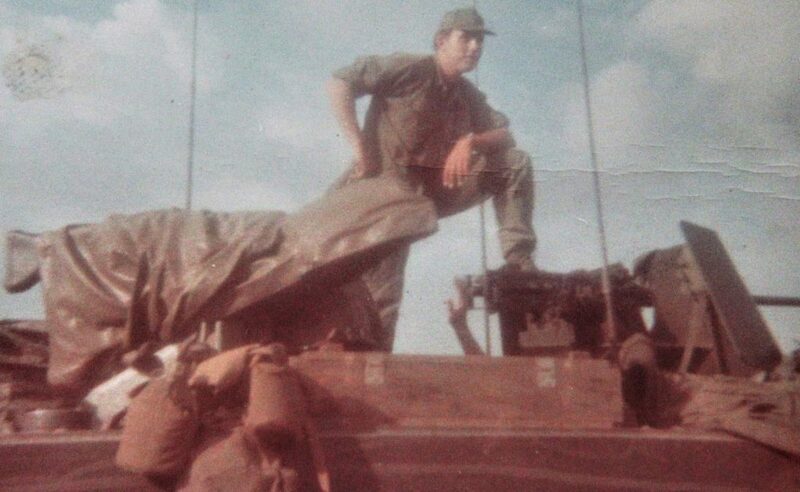 1st Lieutenant Dave Anson with the 3rd Battalion, 5th Cavalry Regiment in Vietnam in the fall of 1968. I never know what to expect when I interview a veteran. Such was the case with 1st Lieutenant Dave Anson, U.S. Army. Dave was referred to me by a fellow veteran who said “I think you should talk to Dave. 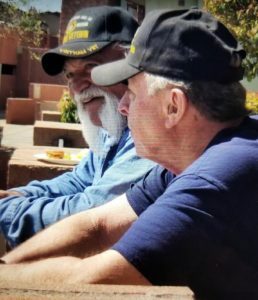 He is a hell of a nice guy and his story needs to be told.” That was good enough for me, so I reached out to Dave and on a recent Friday night we talked at length about his life and service. I have to tell you, I was spellbound listening to Dave from the start. He spoke matter-of-factly about his tour of duty in Vietnam as if it were something anyone could do. He stressed, “I am not a war hero.” After you read Dave’s story, I’ll let you be the judge of that. Dave was born in 1946 and raised in Carter Lake, Iowa, which has the distinction of being all but surrounded by Omaha, Nebraska, and the only portion of Iowa located west of the Missouri River. He attended Thomas Jefferson High School in Council Bluffs, Iowa, where he played football and participated in Army Junior ROTC, although he admits to not having a strong interest in the program. Shortly after he graduated in 1964, he went for a military draft screening physical. The doctor labelled him 4F—unfit for military service—because he had perfectly flat feet, so Dave did not expect military service to ever be part of his future. Dave enrolled at the University of Nebraska Omaha, where he continued to play football and even participated in Air Force ROTC. Then, in 1966, he received a surprise – he’d been drafted despite his previous 4F classification! So, around Labor Day, he and a number of friends he still stays in touch with today boarded a train bound for Fort Bliss, Texas, to begin his hitch in the Army. Dave describes boot camp just as you would expect, lots of yelling and nonstop training. However, Dave’s previous ROTC experience made it an easy transition for him because he had already been introduced to military culture and was used to marching everywhere he went. 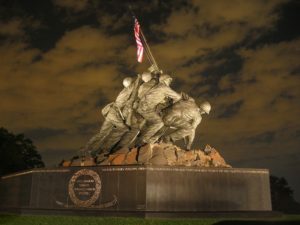 He was also a 6-foot 2-inch, 220-pound football player, so he “didn’t have any problems with people.” In fact, he did so well, he was designated as the platoon leader for his platoon. 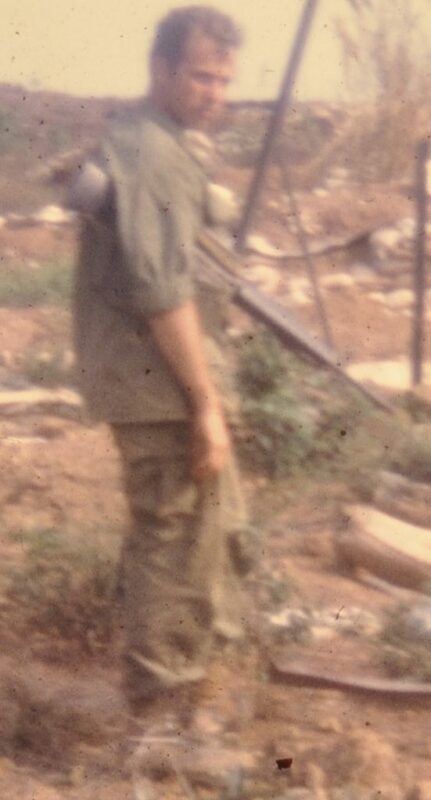 1st Lieutenant Dave Anson at Lang Vei just before his unit is overrun in April 1969. Several aptitude tests at Fort Bliss charted the course for Dave’s Army experience. First, he qualified for Signal Corps advanced individual training (AIT). Second, he scored high enough to be eligible for Officer Candidate School (OCS). Finally, he graduated from boot camp as a Private First Class (E-3). 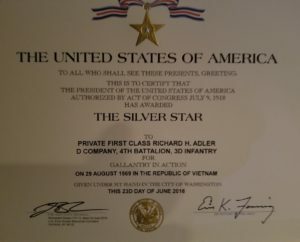 This was not only an honor given that most other soldiers graduated as a Private (E-1), but it also meant more money in each paycheck. After Fort Bliss, Dave attended Signal Corps AIT and Radio Telephone Operator School at Fort Gordon, Georgia. He was also slotted for Signal Corps OCS, but before he could attend, the Army closed the school and transferred him to OCS at Fort Sill, Oklahoma, where he trained to become an artillery officer. Dave considers graduating from OCS at Fort Sill to be one of the most challenging things he has ever done. The training was intense, both physically and mentally, especially given the math required to learn to put ordnance on target. To this day, Dave believes his training at Fort Sill was one of the defining experiences of his life. Dave graduated from OCS at the end of 1967 and reported to the recently reactivated 46th Artillery Group at Fort Carson, Colorado. There he worked with heavy artillery – 175 millimeter guns and 8-inch howitzers. Given that the unit was just reactivating, he also had a host of collateral duties, including motor pool officer and dog training officer. All of that ended, though, when he received new orders in mid-1968. He was going to Vietnam. Now a 1st Lieutenant, Dave arrived in the Republic of South Vietnam in August of 1968, six months after North Vietnam’s infamous Tet Offensive. 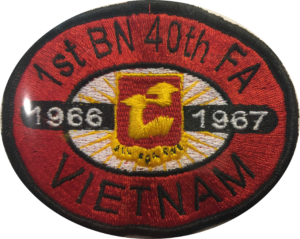 He was assigned to the 1st Battalion, 40th Field Artillery Regiment (1st/40th), located in the I Corps area of operations just below the Demilitarized Zone (DMZ) between South and North Vietnam. The problem was the DMZ was anything but demilitarized, resulting in heavy fighting throughout the war. The 1st/40th’s mission, together with the Marines and the South Vietnamese forces they supported, was to stabilize the DMZ. 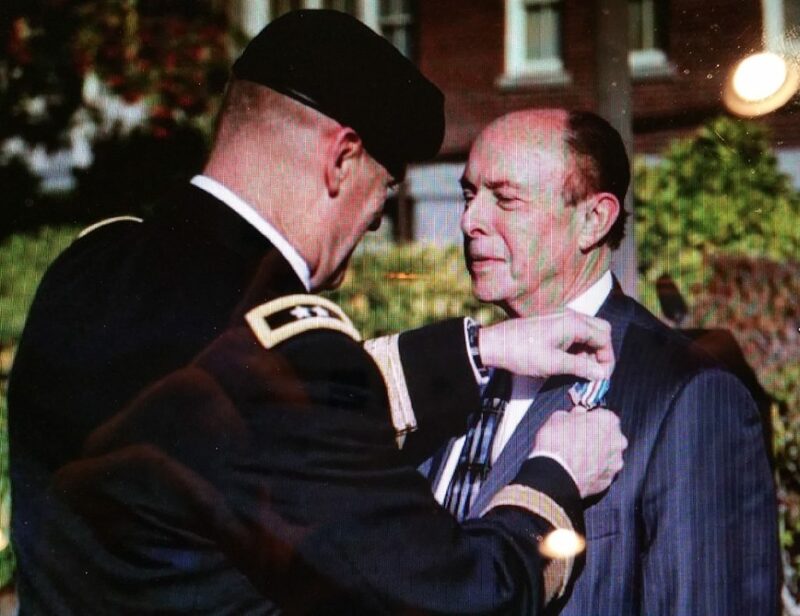 Dave’s initial assignment was as a forward observer (FO) with the Army’s 3rd Battalion, 5th (3/5) Cavalry Regiment. Working together with a radio telephone operator (RTO) and a reconnaissance sergeant (Recon sergeant), Dave served as the eyes of the artillery in the field. This means he traveled with the 3/5 Cavalry and called in targeting data to the 1st/40th Field Artillery so they could rain precision fire down on the enemy’s position. Because of the firepower they helped bring to a fight, FOs were incredibly valuable to U.S. infantry and cavalry units. The problem was, the North Vietnamese Army (NVA) and Viet Cong recognized their value too, making FOs and their RTOs prime targets. As a result, FOs and RTOs suffered a high mortality rate. 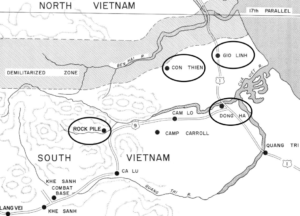 1st Lieutenant Dave Anson’s area of operations south of the Demilitarized Zone between North and South Vietnam. Initially, Dave patrolled the coast with Charlie Company of the 3/5 Cavalry, normally operating within 25-30 kilometers from the DMZ. Typically, they would go out early in the morning and surround the land side of a coastal village while U.S. Navy gunboats patrolled off the village in the Gulf of Tonkin. The gunboats prevented any NVA or Viet Cong fighters from escaping by sea. 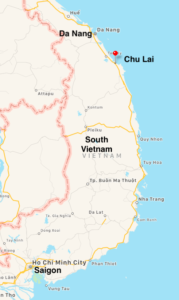 With the Cavalry and the gunboats in place, South Vietnamese soldiers from the Army of the Republic of Vietnam (ARVN) would land by helicopter and sweep through the village to root out the enemy. Dave does not recall any significant engagements during these operations, other than one time when U.S. Army forces and U.S. Navy gunboats mistook each other for the enemy and fired on each other. Fortunately, no one was injured. Around Christmas of 1968, Dave was transferred to Gio Linh, located just south of the DMZ. He worked in a tower, calling in artillery fire on anything in the area that moved. At some point, he figures they annoyed the NVA a little too much because the NVA started to routinely hit the U.S. position with rocket and mortar fire. Dave felt safe in the tower, though, as long as it didn’t take a direct hit. 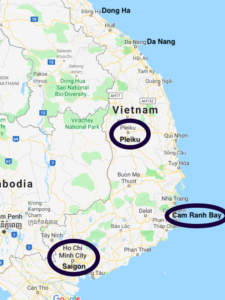 In early 1969, Dave spent six weeks as a FO assigned to an ARVN unit in the A Shau valley, which lies west of the coastal city of Hue (the scene of very heavy fighting during the 1968 Tet Offensive). During one firefight, Dave recalls the ARVN unit withdrawing and leaving Dave, his RTO and his Recon sergeant behind. Dave had to contact the unit by radio to get them to come back and pick him up, which they eventually did after Dave told them he was going to start walking back on his own. In late February, Dave’s assignment changed yet again. For the first time, he was actually assigned to Charlie Battery of the 1st/40th Field Artillery, his parent unit. The unit operated M‑108 105-millimeter howitzers, which could fire a 33-pound explosive projectile up to 7 miles. These were the big guns that Dave in his previous roles sent targeting data to so they could destroy enemy positions with indirect fire. Dave Anson’s team with captured weapons. 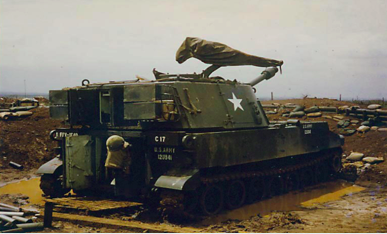 Charlie Battery’s mission was to operate in support of a unit of the 5th Infantry Division (Mechanized) and a battalion of ARVN soldiers along Highway 9 to Khe Sahn and Lang Vei on the border with Laos. More specifically, they were to interdict NVA forces infiltrating south along the Ho Chi Minh Trail. Together with his RTO and Recon sergeant, Dave recalls patrolling in the vicinity of Khe Sanh, finding arms caches and reporting the positions of enemy units. Dave senses that to some extent the forces he was with were being used as bait to draw out the enemy, as the NVA and Viet Cong were hard to find and thus hard to attack. 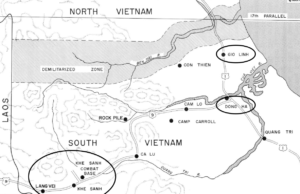 Still, Charlie Battery was able to target and destroy NVA vehicles heading south on the Ho Chi Minh Trail. Rarely did the NVA return fire. Things changed on April 25th when Charlie Battery was operating out of a fixed position. Dave and a few others had taken time to dig in, but not everyone in the unit thought it was necessary. They learned otherwise when the NVA attempted to overrun their unit. With his carbine in hand, Dave ran from his position toward the Fire Direction Center (FDC), which directs the fire from the unit’s M-108 guns. 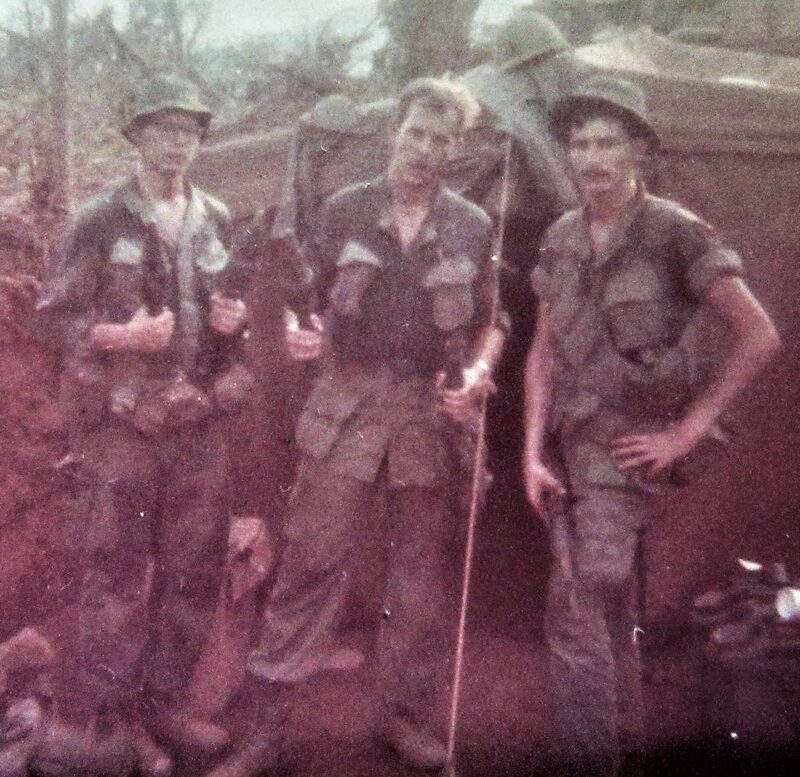 Just after he arrived under the canvas tent portion of the FDC, it took a direct hit from an NVA artillery round that landed just three feet from Dave, blowing a hole in his midsection. Dave’s good friend, First Lieutenant Ron Vann, was hit by the same blast and died in Dave’s arms. Dave recalls the situation being desperate. Still with carbine in hand and severely wounded, he made his way to the armored personnel carrier serving as the command post, where another skirmish was ongoing. Dave managed to make a call for a Medevac helicopter, but remembers nothing more. Charlie Battery suffered eight casualties that night, including the loss of 1st Lieutenant Vann. 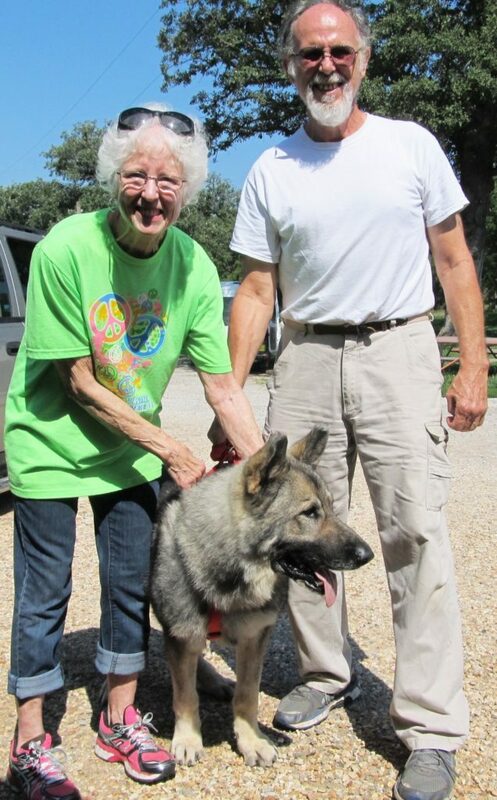 Dave and Kathryn Anson with their adopted dog, Manfred. After the engagement, Dave was evacuated on a CH-47 Chinook helicopter and taken to the Marine Hospital in Dong Ha. He was later transferred to Da Nang, and around the beginning of May, he was transferred to the Army hospital in Camp Zama, Japan. He had a badly damaged kidney, still had shrapnel in him, and had to learn to walk again, but he considers himself lucky. 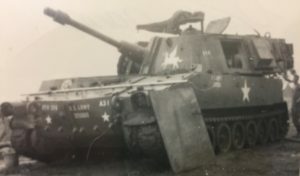 That’s because after he was wounded, Charlie Battery pulled back to the vicinity of Khe Sanh and, on April 28th, was completely overrun by the NVA. The unit again suffered significant casualties, including four soldiers killed and the loss of the unit’s guns. Around the end of May 1969, Dave returned to Fort Riley, Kansas, to recuperate. Due to the seriousness of his injuries, he was given an early out from the Army. By September 1st, he was back at the University of Nebraska Omaha attending classes, where he again played football and graduated with a bachelor’s degree and teaching certificate. But the war had changed Dave. He was angry at the intense suffering the war caused, especially among South Vietnamese civilians, and that the U.S. war effort wasn’t what the U.S. government portrayed it to be. He was also disappointed at the lack of public support for U.S. military members fighting and dying in Vietnam. Finally, he’d been very lonely throughout his entire tour in Vietnam, having transferred so frequently between units he found it hard to make good friends. As a result, it took Dave a number of years to work through everything and find himself, which he eventually did after earning additional degrees and embarking on a career as an educational therapist. Now retired in Bellevue, Nebraska, after running a community gardening program for United Methodist Ministries, Dave looks back at his life and is satisfied with what he sees. 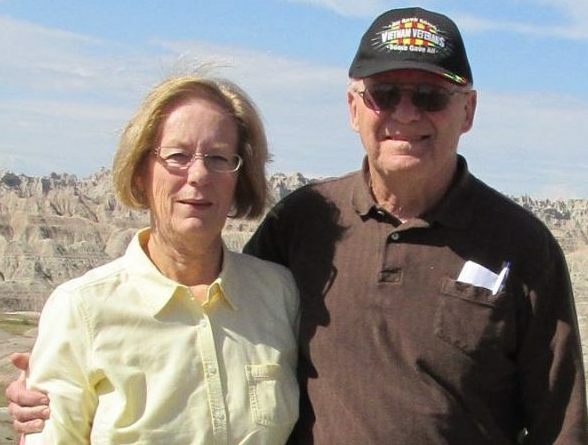 He has a wonderful wife, Kathryn, whom he describes as his hero after her thirty years of government service with the Social Security Administration and her tour of duty with the Peace Corps. He also has wonderful children and grandchildren that bring joy to every day of his life. In sum, he still considers himself a lucky man. 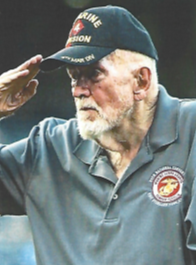 Voices to Veterans salutes 1st Lieutenant Dave Anson for his dedicated service in Vietnam and for his bravery under fire. 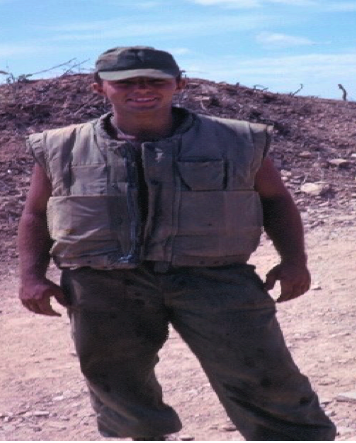 Dave, who was awarded two Purple Hearts and a Bronze Star for valor, never wavered when duty called, even at the cost of great personal sacrifice. 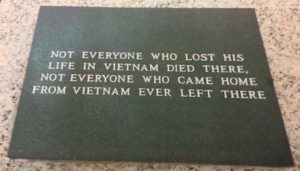 At least now, a grateful nation better understands and appreciates all that Dave and other Vietnam veterans have done in the name of freedom. I am often amazed at how humble veterans are when they describe their experiences heading off to war. I cannot imagine the emotions, the patriotism, the fear, and the camaraderie that must have pulsed through their veins as they left everything familiar behind to board a ship or plane bound for the ultimate unknown. That describes Staff Sergeant Sam High to a tee—a citizen soldier who joined the Army Reserve because he saw a storm brewing in Southeast Asia and wanted to do his part. When the call came, he did his duty with dignity and honor. This is his story. Sam was born on May 4, 1944, in Lonoke County, Arkansas. His father was a sharecropper, but he gave up farming and moved his family to Chicago where he worked in a bicycle factory. By 1957 he had paid off his debts, so he moved the family back to Arkansas when Sam was in the 8th grade. Sam went on to graduate from North Little Rock High School in 1962 and entered the working world. At one point he worked at a lumber company where his dad was his boss, but his father told him he needed to find a better job. Heeding his father’s advice, Sam took a position as a file clerk at the Veterans Administration (VA) Regional Benefits Office in Little Rock, beginning what would turn out to be a 38-year career with the VA.
Two years before starting with the VA, Sam joined the Army Reserve because he saw things heating up in Vietnam and he felt like he needed to do something. He did his Basic Training at Fort Polk, Louisiana, known as Fort Puke among the soldiers training there. Sam hadn’t really been away from home before boot camp, so it was initially intimidating. He called everyone “sir” no matter what rank they were, but also notes he was in the best shape of his life. After boot camp he got two weeks off, then he returned to Fort Polk for Advanced Individual Training (AIT) where he learned to be a company clerk. All told, his boot camp and AIT lasted about 18 weeks (9 weeks each). After completing his training, Sam returned to Arkansas to integrate into his Reserve unit. Following Reserve requirements, he drilled one weekend each month and two weeks each year at Camp Joseph T. Robinson, a huge military base in North Little Rock, Arkansas, as well as at Fort Chaffee, also in Arkansas. 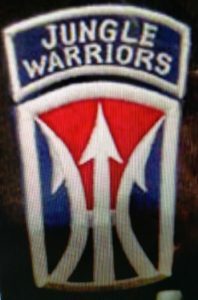 His unit was initially an artillery unit, but in 1966 it reorganized to become Headquarters Company, 336th Ordnance Battalion. The newly reorganized unit drilled at the Finkbeiner Armory at Little Rock Airport. Throughout this time, Sam continued to work with the VA, which was very supportive of his Army Reserve service. In April of 1968, Sam’s mother called him at work. She was crying and told him his unit was being called up for active duty. This was just after the 1968 Tet Offensive in Vietnam, so both Sam and his parents knew what being called up meant – he was likely going to Vietnam. Sam called his unit to get more information, but even the unit hadn’t received formal notification yet. Sam’s view was the Army had trained him with a rifle, so he always knew there might come a time when they would call him and ask him to use it. 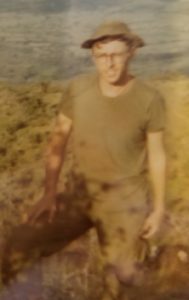 He’d also heard rumors that there was a chance the unit would go to Japan, but Sam figured if he was going to get called up and shipped overseas, he’d rather it be to Vietnam so he could do his part. Sam was single, so it was relatively easy for him to deploy on short notice. Still, his parents were getting older and had some health issues, tempering the excitement somewhat. Some of the other members of the unit had wives and children, so it was tougher for them to prepare. Regardless, they were officially called to active duty on May 13, 1968. Then, in June 1968, after filling out mounds of paperwork associated with their deployment, approximately 100 men from Headquarters Company, 336th Ordnance Battalion, marched with their unloaded M-14 rifles from the Finkbeiner Armory to the commercial plane that would carry them to Fort Carson, Colorado. At Fort Carson, Sam and his unit trained for their upcoming deployment. They traded in their M‑14s for M-16s, attended classroom training about their mission and how to execute it, spent time in the field, and participated in escape and evasion training in the event they were captured. By late September 1968 they were ready, so Sam and the rest of Headquarters Company departed before daylight in an Air Force C-141 Starlifter for their flight to the Republic of South Vietnam. The Company arrived at the massive U.S. air base in Da Nang on September 26, 1968. 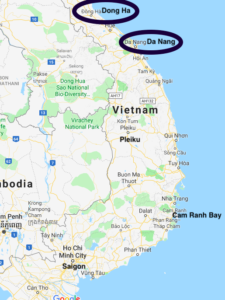 Their initial assignment was actually in Da Nang, relatively close to the South China Sea, although some soldiers were assigned further up the coast in Quang Tri Province. 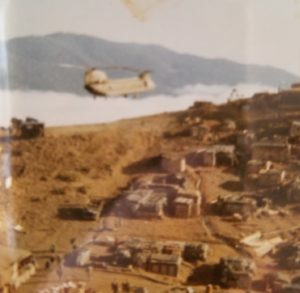 Sam remained in Da Nang and helped the unit build its “hooches” (living quarters made from 2X4s and plywood with sandbags on the roof) and a nearby bunker that could provide cover from incoming mortars and rocket fire for about 50 soldiers. Sam was a Specialist 5 at the time, and his primary responsibilities involved the record-keeping side of ordnance. He worked in a 3-person section from noon to midnight, keeping inventories of the ordnance units had and dealing with emergency calls for ammunition. 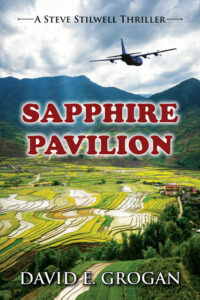 When an emergency call came in, Sam rode to the Da Nang airport in a jeep with the necessary paperwork. Although he generally felt safe on these runs, they always had their weapons ready and at times, the runs proved a little too exciting. Throughout Sam’s time in Da Nang, he was on duty 12 hours a day, 7 days a week. At night when the enemy launched rockets or fired mortars at Sam’s position, he had to grab his weapon and get into the nearby bunker to ride out the attack. He said it became unnerving after a while, especially during the January 1969 Vietnamese Tet holiday, knowing that a rocket or mortar attack would disrupt his sleep up to 3 times a week. 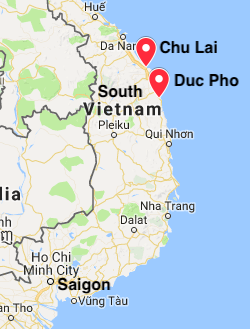 In February/March 1969 and after spending a week of R&R (rest and relaxation) in Australia, Sam and his best friend were transferred south of Da Nang to Chu Lai. Sam’s position was across the highway from a Vietnamese village, and he recalls having to grab his weapon and board a slow-moving truck picking up all the soldiers in the vicinity and heading to the ammunition dump so they could defend the position from their 2-man bunkers in case of a ground attack. He also remembers standing guard duty one night in Chu Lai and noticing the perimeter fence might have been breached. He and an officer went to the fence line to investigate, but eventually they determined there was no hole in the fence – the camp lights just made it look that way. Sam promoted to Staff Sergeant in Chu Lai, which allowed him to wear “3 stripes and a rocker” and serve as the non-commissioned officer-in-charge (NCOIC) of the night crew at the ammunition dump. Sam would get ammunition requests, tell his soldiers what to load, and the receiving units would drive away with the ammunition they needed to keep up the fight. Sam really felt like he was contributing to the war effort in this role, making sure the soldiers in the field got the ammunition they needed. Sam and his unit returned from Vietnam in August 1969 as part of President Nixon’s post-election drawdown after serving 10 ½ months in country. Five months later, Sam married the young woman who began writing him in Vietnam, and he has been married to Jessie now for over 48 years. They have two children and two grandchildren. Sam also returned to his job at the VA, where he continued to work until he retired in 2004. 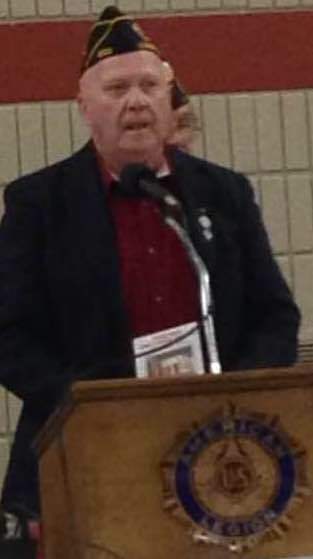 After retiring from the VA, he accepted a position as the Lonoke County Service Officer. In this position, Sam helps inform veterans about available benefits and how they can access them. He considers helping veterans learn about benefits for things like Agent Orange a real blessing for him. Sam’s also a certified service representative with the American Legion. 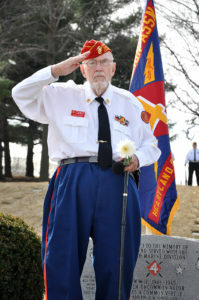 In fact, he’s been a member of the American Legion for 50 years and belongs to Post 71 in Cabot, Arkansas. As if all of that weren’t enough, Sam volunteers as the Chairman of the Board for A Veteran’s Best Friend in Arkansas, a non-profit organization that acquires and trains service dogs for veterans with Post Traumatic Stress Disorder (PTSD). He is also active in the Lonoke Baptist Church, where he teaches Sunday School and serves as a deacon. Although he served with them 50 years ago, Sam forged a deep bond with the men of Headquarters Company, 336th Ordnance Battalion. They still get together every year with their wives, usually in Branson, Missouri. In 2017, they met in Dallas, Texas, where they were honored at a Dallas Cowboys pre-season football game and were invited out on the field to be recognized by a thankful crowd. Sam doesn’t hesitate to say that the men of his unit dearly love each other. 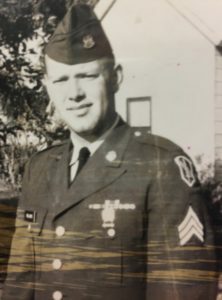 Voices to Veterans salutes Staff Sergeant Samuel T. High, U.S. Army, not only for his dedicated and faithful service to our nation during time of war, but also for his continued service to veterans and his community. Sam, we tip our hats to you and to all of the members of Headquarters Company, 336th Ordnance Battalion, for defending our freedom! Like many veterans, Technical Sergeant Susan “Susie” Goebel, U.S. Air Force (Retired), hesitated to talk to me about herself. She views her 15 years of service as nothing special or heroic. In fact, she’ll tell you she was just doing her job. To Susie, the family separations, the inspections in the middle of the night, and the drills in Saudi Arabia in full chemical protective gear barely warrant mentioning. To the rest of us, they sound like quite a sacrifice. Here is Susie’s story. Susie’s dad was an oil man – he started out as a roughneck working on rigs, taking his family wherever there was work. 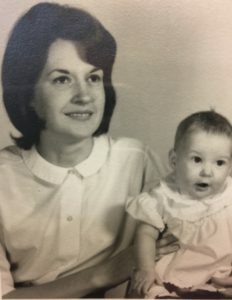 On one such trip from Wyoming to Oklahoma, the family had to stop in Nebraska because Susie’s mom went into labor and Susie was born. The family eventually settled in Nowata, Oklahoma, about 50 miles north of Tulsa. It wasn’t permanent, though. 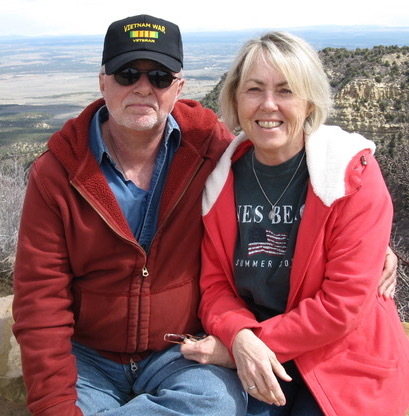 Susie remembers living in Casper, Wyoming, around the 3rd and 4th grade and falling in love with the Rocky Mountains. They returned again to Tulsa where Susie graduated from high school in 1975. After high school, Susie completed a couple of years of college, but it wasn’t what she was looking for. What she really wanted was to join the Air Force. Her father served in the Army Air Corps in the Pacific Theater during World War II, flying over China, Burma and India and earning the Distinguished Flying Cross. It was only natural for Susie to want to follow in his footsteps. Initially Susie’s dad didn’t want her to enlist, but he didn’t say anything about it to her directly. Instead, on her 22nd birthday, her mother took her out for a night on the town. After a few drinks, she told Susie that she and Susie’s father didn’t want Susie to enlist. Susie said it was too late for that and was on her way to boot camp 5 days later. From that point on, Susie’s mom and dad were incredibly proud of her, with her father not missing the opportunity to wear an Air Force t-shirt or hat recognizing Susie’s service. Out of the five children in the family, Susie was the only one to serve in the military. Susie reported to boot camp at Lackland Air Force Base on January 29, 1980. The only part of basic training that shocked her was the physical training. She soon developed severe blisters from wearing combat boots and had to wear flip-flops for a week, which really embarrassed her. She made up for it a week or so before the end of boot camp when she was permitted to put on Airman First Class stripes, while everyone else was still an Airman Basic. 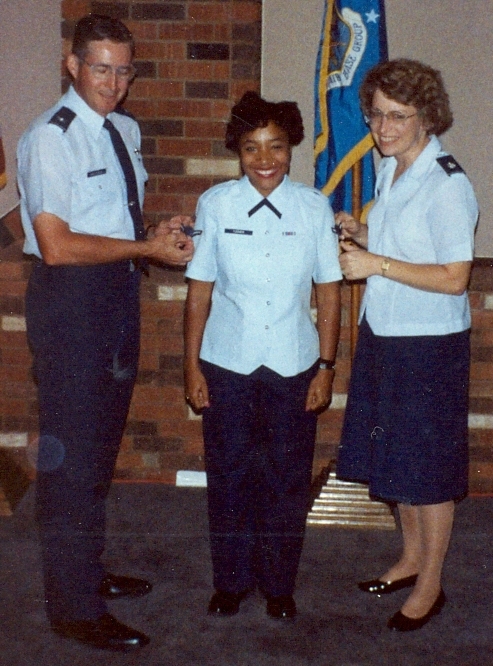 Susie received the promotion because she had completed two years of college before she enlisted. It resulted in her receiving higher pay and being treated better when she reported to her first command. After boot camp, Susie reported to supply technical school at Lowry Air Force Base in Denver. Supply would be her field for the rest of her career in the Air Force. Denver also rekindled her love for the Rockies. Every morning, the very first thing she did was open the curtains and admire the mountains. Only after she had her fill would she start getting ready for work. Supply school at Lowry lasted approximately 6 weeks. 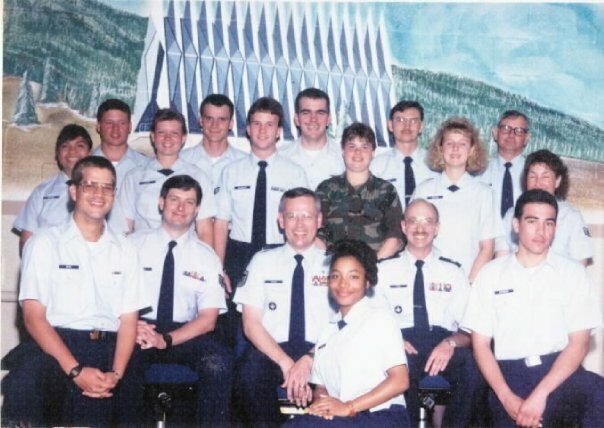 After supply school, Susie reported to her first duty station, the 601st Tactical Control Wing in Sembach, Germany. The Wing provided support for the OV-10A, a twin-engine aircraft employed primarily to provide forward air control for U.S. and allied forces. Susie worked in a warehouse receiving, storing, and issuing everything the OV-10A squadrons needed to keep their planes flying. During Susie’s tour in Sembach, her command routinely drilled and participated in exercises. In one such exercise, Susie had to wear full chemical protective gear with her gas mask at the ready, waiting for an alarm to sound. Unfortunately, she happened to be on the outside of the warehouse when the alarm sounded. Suddenly, the warehouse’s big bay doors closed and Susie was locked outside. She put on her gas mask and took shelter between a trash dumpster and a wall, watching planes do tactical maneuvers over the base. When the siren sounded again indicating the simulated attack had ended, Susie had to pound on the doors until someone let her back in the warehouse. The exercise seemed all too real. Susie’s oldest son, Justin, was born in March, 1983. Shortly after Susie returned from maternity leave, the Wing sent her to a 5-week inspector school in Denver. Toward the end of the school, Susie’s husband brought Justin to Denver to see Susie and Justin didn’t recognize her – it took him a little while to get used to her again. Needless to say, family separations were hard. Susie’s second son, Nick, was also born in Germany in May, 1984. After Sembach and now a Staff Sergeant, Susie reported to her second command, the 443rd Military Airlift Wing, in Altus, Oklahoma. She stayed there from 1984-1989. In 1989, she reported to 314th Military Airlift Command at Little Rock Air Force Base in Jacksonville, Arkansas. 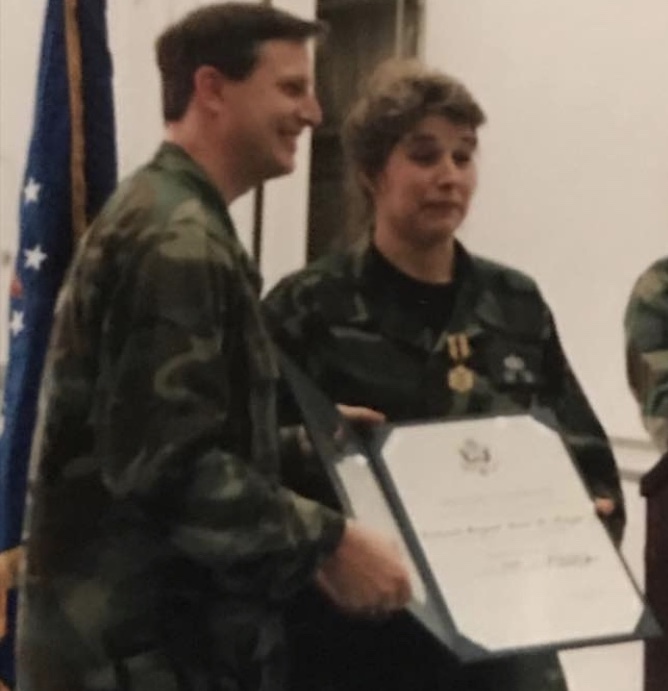 In 1994, while Susie was at Little Rock and now a Technical Sergeant, she received a call telling her that her next assignment would be Iceland or she would have to retire – she was given no other options. Reluctantly she chose to retire. However, one month later in August 1994, she deployed on very short notice to Saudi Arabia. When she got off the airplane in Dhahran, the temperature seemed like an instant 120 degrees. 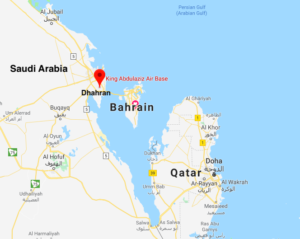 She went to her barracks in Khobar Towers to check in and then was put in charge of the Repairable Assets Control Center, or RACC, at King Abdulaziz Air Base. That meant she was in charge of the operation receiving parts needing repair and either delivering them to local workshops to be repaired or shipping them back to the United States for depot level work. Her team operated around the clock, working 12-hour shifts. While Susie was in Dhahran, word circulated that Saddam Hussein might be making another move to cross into Kuwait (Iraq had been pushed out Kuwait by U.S. and allied forces during the Gulf War in 1990-91). Susie relays that although there was some fear of Iraq firing chemical weapons if a new conflict flared-up, leadership did not want service members to carry their chemical protective gear because they did not want to alarm the local population. Susie had her people stow their protective equipment in the vans they drove anyway. She didn’t want to have to write a letter home to some parent saying their child had died because they didn’t have their protective gear available. On occasion, a bus would be available to take airmen from Dhahran to Bahrain, where drinking was permitted. The only caveat was, if anyone got sick on the ride home after drinking too much, they would be punished at an administrative hearing known as an Article 15 hearing. All of the airmen looked out for each other, and all carried plastic bags so in case anyone got sick, they could still keep the bus clean. Toward the end of Susie’s 3-month assignment in Saudi Arabia, she was given another option for follow-on orders. Instead of Iceland, she was offered orders to South Korea, and she would have to report there directly from Saudi Arabia. Given that she was now retirement eligible, she opted to retire. She did not want to put her boys through another extended family separation. Susie returned to Little Rock Air Force Base on November 28, 1994, and retired from the Air Force on January 31, 1995, after 15 years of distinguished service. She continued to work at Little Rock Air Force Base as a civilian, working with C-130 flight simulators and assisting with other training responsibilities. Susie is active in American Legion Post 71 in Cabot, Arkansas, where she currently serves as the Post Public Relations Officer. She had a very positive military experience, noting that everyone she worked with looked out for each other. She believes every young man and woman should spend 2 years in the military or similar service to learn more about our country and the Constitution, and to develop a sense of personal discipline. Voices To Veterans salutes Technical Sergeant Susie Goebel, U.S. Air Force, for her years of dedicated service to our country. Not only did she make her mother and World War II veteran father proud, but she made us proud, as well. Thanks for your service! Have you ever heard the Navy’s old recruiting slogan, “Join the Navy and see the world?” That slogan certainly rang true for Petty Officer Third Class Jim McCune, U.S. Navy. But life had much more in store for Jim than the excitement of a world cruise on a powerful U.S. aircraft carrier—he and his young family would face incredible adversity. Instead of giving up, Jim and his wife, Tonya, relied on each other and got through it together, stronger for the experience. This is Jim’s story. Jim was born in 1967 and raised in a small town in northwest Illinois, not far from the Iowa border. Jim’s dad was a steelworker who taught him the value of hard work, but when Jim was in high school, his parents divorced and Jim moved with his mother to Savanna, Illinois, right on the Mississippi River. Jim attended Savanna High School for his junior and senior years, and that’s where he met Tonya. He was so sure Tonya was the right woman for him that he proposed to her during his junior year. Jim’s proposal made him start thinking about finding a job after graduation that would allow him to marry and support Tonya. He initially thought he would join the Army and become a heavy equipment operator, but when his older brother Tim heard about his plans, he told Jim he should go Navy instead. In fact, Jim’s two older brothers thought joining the Navy was such a good idea, they wanted to enlist with Jim. To further their plan, Tim invited a Navy recruiter to their house – Charlie Nash from Tennessee. 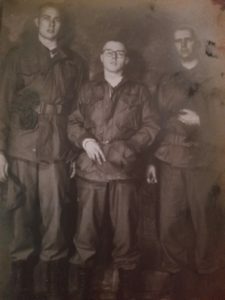 With a thick Tennessee accent he promised the three brothers, “I will take care of you and carry you into the service.” The McCune brothers were convinced and they signed the enlistment papers. But because Jim was still in high school and they all weren’t ready to go yet, they entered the Delayed Entry Program with a report for duty date in August 1986. 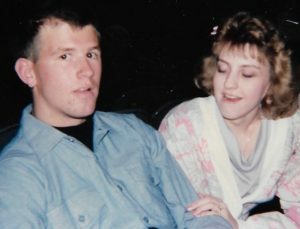 Jim graduated from high school in the spring of 1986 and married Tonya on June 14, giving him only two months with his new bride before he had to report to the Navy. One of his two older brothers joining the Navy with him, Randy, also got married before they departed. So, on August 12, 1986, Jim’s mother and the new brides took Jim, Tim and Randy to the Greyhound Bus terminal in Sterling, Illinois, and bid them farewell. The bus was full of Navy enlistees and it took them directly to boot camp at the Recruit Training Command in Great Lakes, Illinois, just north of Chicago. As soon as they arrived, the staff came on the bus yelling and had them form in a line outside. 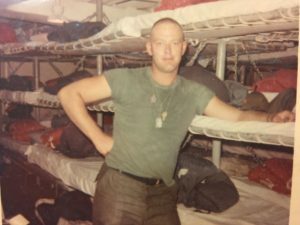 They marched as a group to their new barracks and their boot camp adventure officially started, beginning with trashcans rolling down the aisles to wake them up at 4:00 a.m.
Jim was in Company 290 – “Solid Gold”. The company bonded as a unit and had a lot of spirit, working together and developing cadences they could use when marching around base. When anyone’s mother, wife, or girlfriend sent goodies, they shared them with everyone in the company. They also helped each other get through the trials and tribulations of boot camp. When it came time for graduation, Jim’s mom and Tonya came to the ceremony. They got to spend the weekend together before the three brothers had to report to their first Navy school on Monday morning. Jim and Tim’s enlistment contract guaranteed they would attend school to become Electronics Technicians, but Randy had no such guarantee. So, on Monday morning when Jim and Tim started Basic Electricity and Electronics School, Randy started a general school that corresponded with the name of his rank – Airman Apprentice. Two weeks into classes, Jim failed a hearing test and was told he could no longer be an Electronics Technician. He was given the option of getting out of the Navy since he would not be getting what his enlistment contract promised. Rather than get out, Jim said he would stay in if he could catch up with Randy at Airman Apprentice School. The Navy said yes, so Jim joined Randy and spent every night studying to catch up for the two weeks of school he was already behind. Jim completed school with Randy and finished on time. After Jim and the others completed Airman Apprentice School, they were marched to the personnel office to receive their orders. Each new sailor opened his package excitedly to see where he was going. Jim’s orders were for North Island in San Diego, California. This was a big deal for a 19-year-old who had never really been more than 25 miles away from his home growing up in Illinois. After a week of leave with Tonya in Savanna, Jim flew to San Diego, arriving in uniform around midnight with everything he owned in a heavy green sea bag. A Navy Petty Officer saw Jim looking lost and helped him find the duty driver. 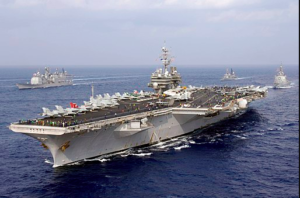 The driver took Jim to Naval Air Station North Island, the homeport for Jim’s new ship, the USS KITTY HAWK. Not knowing that the duty driver would have taken him all the way to his ship, Jim got out of the car at the front gate and walked two miles to his ship carrying his sea bag. When he arrived on board, he checked in and went right to sleep. When Jim woke up, he learned he’d be working on the flight deck, but he wouldn’t be starting out there. As a new junior sailor, he’d have to pay his dues by starting out cleaning the berthing compartments on the ship, which was a job everyone looked down upon. But he worked hard and started looking for the chance to move to the flight deck as soon as possible. On January 3, 1987, KITTY HAWK got underway from San Diego for what Jim understood to be a leisurely cruise heading west around the world to the Philadelphia Navy Yard, where the ship would go into dry dock for an extended overhaul. 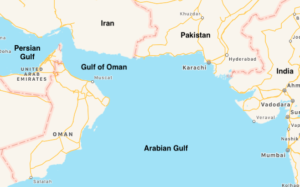 The cruise proved to be anything but leisurely, as KITTY HAWK spent almost 120 days conducting flight operations (launching and recovering the ship’s aircraft) in the Gulf of Oman during a period of increasing tensions in and around the Persian Gulf. During flight operations, Jim worked on the flight deck, which is recognized to be one of the most dangerous jobs in the world. In fact, before he was even permitted to go onto the flight deck to begin training, he spent 4 days in the “crow’s nest” on the carrier’s bridge watching the intricate teamwork involved in launching and recovering aircraft at sea. 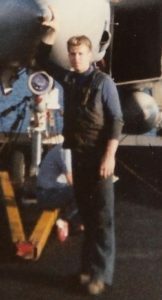 When Jim went onto the flight deck for the first time, he was “married” with an experienced sailor and had to hold onto the sailor’s belt to follow him wherever he went. Standing or walking in the wrong place could result in getting blown off the ship by jet blast, walking into a spinning propeller, or getting sucked into a jet engine intake, so there was no room for error. Jim remembers learning this lesson standing behind a jet blast deflector on the flight deck. He and his partner were watching a jet get ready to take off, and Jim didn’t notice his partner turn around. When the jet took off, he felt the searing heat on this face. It was a lesson all new flight deck personnel had to learn. Jim worked on the aft (rear) of the flight deck, placing and removing chocks under aircraft wheels, chaining aircraft to the deck, attaching and removing tow bars, and helping to spot aircraft throughout the day. 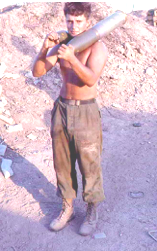 It was grueling work in the intense sun of the Gulf of Oman, and Jim became very tanned and fit. His workday routinely ran for 20-22 hours, so he learned to eat quickly and sleep standing up while leaning against a bulkhead (wall). Every night, though, before going to sleep, he wrote a letter to Tonya, and he cherished receiving the daily letters she sent him. On March 31, 1987, after Jim finished work and was in his berthing spaces, he heard someone yelling. When he went to check it out, someone said there was a fire in the hangar bay, which is the large area below the flight deck where aircraft can be brought down by elevator for maintenance. Jim started to pass the word, but then heard the announcement over the ship’s speakers, “General Quarters, General Quarters,” telling the crew there was a fire. The fire was massive and Jim and other sailors quickly moved aircraft away from the flames to keep the fire from getting worse. The fire was eventually extinguished without injury or loss of life. Two times on the flight deck Jim came close to being seriously injured. On one occasion, he was walking under an F-14 “Tomcat” jet fighter made famous in the Tom Cruise movie “Top Gun” when he sliced his head open on an instrument extending from the bottom of the plane. He was immediately taken to the ship’s hospital and stitched up, and was back on the flight deck in 45 minutes. On another occasion, jet blast pinned him against the landing gear of the plane he was working under. Had the plane moved, he could have been crushed. Others weren’t so lucky. One day he watched as the jet blast from a plane blew a Chief Petty Officer off the deck and into the water 64 feet below. “Man overboard” was quickly called and the Chief was recovered safely, but it was yet another reminder of the dangerous business they were engaged in. Not everything aboard KITTY HAWK involved work. Unbelievably, Jim met two guys he knew from Savanna High School on board. He unknowingly sat down at dinner next to one and learned about the other who had been working only about 20 feet away from him on the flight deck and he didn’t even know it! He also got to watch as the ship put on air shows for foreign dignitaries, and enjoyed “steel beach picnics” where the crew could relax on deck and enjoy 2 beers, a luxury they earned after 45 continuous days at sea. Since Jim doesn’t drink, he pocketed some extra money by selling his two beers to his thirsty shipmates. He also became a crusty “shellback” on April 25, 1987, a name given to sailors after they cross the equator for the first time and participate in a mock ceremony to document the event. Jim visited a number of exotic ports during KITTY HAWK’s cruise. He saw the Philippines twice; Karachi, Pakistan; and Mombasa, Kenya. He also sailed through the Suez Canal and stopped in Cannes, France, and Palma de Mallorca, Spain, and sailed close to the Rock of Gibraltar before heading home across the Atlantic Ocean. Finally, after a brief stop in Norfolk, KITTY HAWK pulled into the Naval Shipyard in Philadelphia, bringing an end to the six-month cruise. Once back in the states, Jim took leave to see Tonya in Illinois. He remembers how beautiful she looked at the airport waiting for him, reminding him of the way he felt on his wedding day. She barely recognized him, though, given how fit and tanned he was. After Jim’s leave, Tonya moved with him to Philadelphia, taking an apartment in Delaware about thirty-minutes from the shipyard. On June 13, 1989, Tonya gave birth to their daughter, Stephanie Jo. The baby had hydrocephalus, and she remained in neonatal intensive care for three months. Stephanie later began to experience severe seizures, so this was a very difficult time for the family. Then, about one year later when Tonya was six-months pregnant with their second child, someone at Jim’s part-time job at a warehouse accidentally ran into him with the raised forks of a forklift, pinning Jim against the forklift Jim was driving and nearly severing Jim’s left leg. Jim was hospitalized for months and in physical therapy for a year and a half. Sadly, Stephanie passed away about six months after Jim was injured. Jim was medically retired from the Navy in November 1991. He credits one of his Navy buddies, Bill Atkinson, with helping get him back on his feet by taking him fishing. This began Jim’s lifelong passion for fishing, which he has shared with countless youth in Illinois through fish derbies, high school fishing teams, and teaching underprivileged youth to fish. His work with kids fits well with his and Tonya’s other calling, which is serving as foster parents for children in their community. Over the last 20 years, they’ve fostered numerous children and adopted 4, making Jim and Tonya role models and real-life heroes for many families in their community. Jim currently works as a physical education teacher at Leal Elementary School in Urbana, Illinois. Jim pursued his career in education after a warehouse supervisor refused to consider him for promotion because he didn’t have a college education. Both challenged and motivated, Jim used his Vocational Rehabilitation and GI Bill Benefits to get his bachelor’s degree from the University of Illinois after doing his initial college coursework at Parkland Community College. Tonya also continued her education and became a nurse. 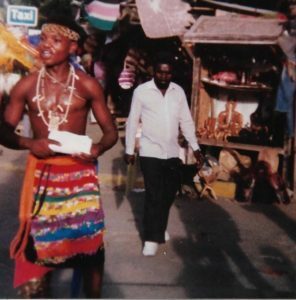 As Jim looks back on his military service, he credits the Navy with teaching him to respect people from all different backgrounds and to better understand what life is like in other countries. Jim still talks about his Navy days with his Navy friends, and believes the Navy is a good option for young men and women to learn an occupation and get started in life. Voices To Veterans is proud to salute Petty Officer Third Class Jim McCune, U.S. Navy, for his dedicated service in the Navy and for his and Tonya’s work with children in their community. We are thankful to both of you for all you have done and all you continue to do!